Final Fantasy is one of my all time favourite game series, but I’ve never stitched anything from it. I always felt that its been over done in cross stitch. 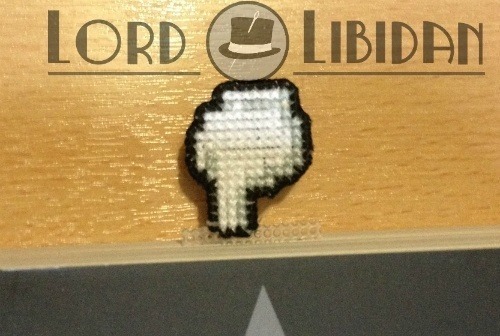 I somehow lost my old bookmark that was based upon a final fantasy hand, and thought I’d come up with something myself!